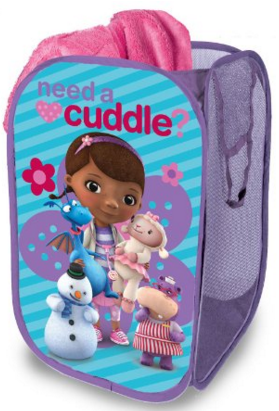 Disney Doc McStuffins Pop-up Hamper Just $7 Down From $12! You are here: Home / Great Deals / Amazon Deals / Disney Doc McStuffins Pop-up Hamper Just $7 Down From $12! Make cleaning up laundry fun with the Disney Doc McStuffins Pop-up Hamper for just $7 down from $12 on Amazon! Get yours now while it lasts!